Premium Indian 3 Piece for Women. WorkEmbroidery with spring & stone work. Orna – georgette, 4 side bordered. Colorful Indian 3 piece set made of Cambric cotton fabric. 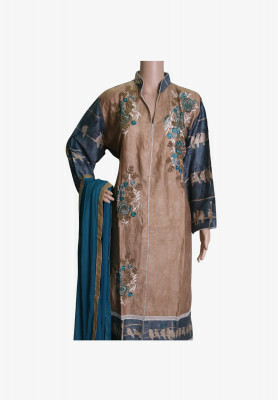 Comes with brilliant embroidered design on sober-colored top with stone and spring. 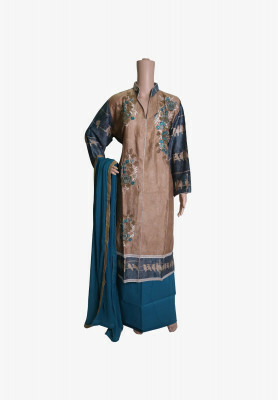 Pure georgette dupatta and pure cotton trouser are great compliments to the overall outfit. Best choice for attending receptions.